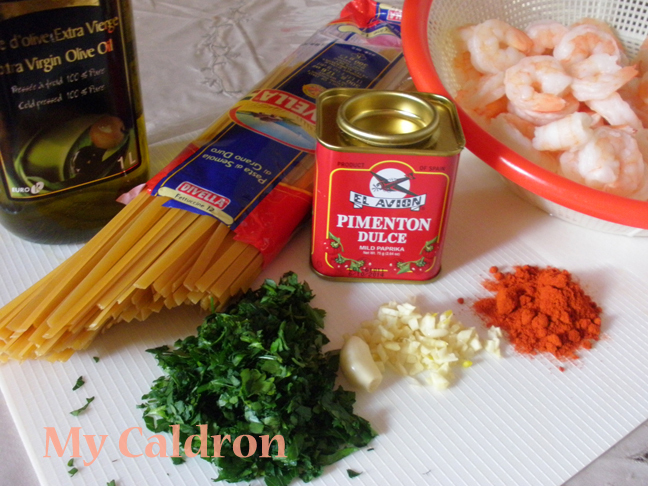 Let’s get right to this divine dish; it is SO easy and delicious!! Ingredients :Fettuccine pasta, 500 gr. Cooked shrimp – defrosted or fresh – peeled and deveined, 500 gr. Garlic 4 cloves, minced. Fresh parsley, 2 tbsp., chopped. Olive oil, 2 tbsp. Smoked Spanish paprika Powder (key ingredients, found in International section of most super markets), 1 tbsp. Salt and black pepper to taste. Method: 1. In a large frying pan sauté garlic in 1 tbsp. of olive oil for a couple of minutes. 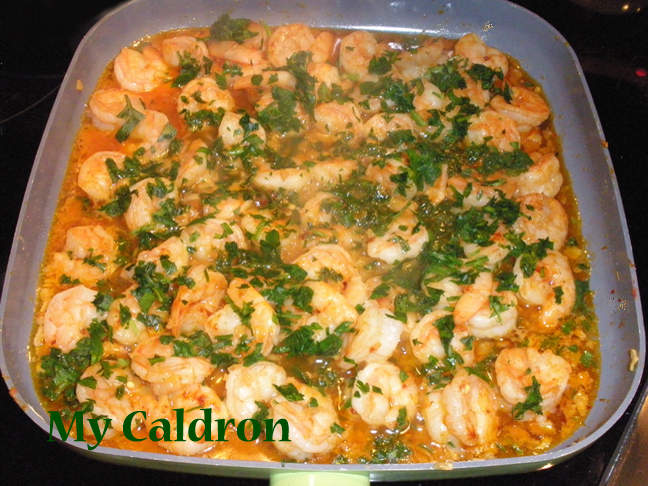 Add shrimp and sauté for 5 minutes over high heat. Turn the heat back to medium and add smoked paprika stir frequently. At the very end, add half the amount of your parsley and set aside. 2. Use a large pot and fill it 3 quarter with water and a pinch of salt. Bring to boil and add pasta. It should cook in 10 minutes approximately, but you are always the judge! Don’t let it go too soft. Drain pasta and serve it in a platter or bowl and top it with 1 tbsp. of olive oil and more parsley. 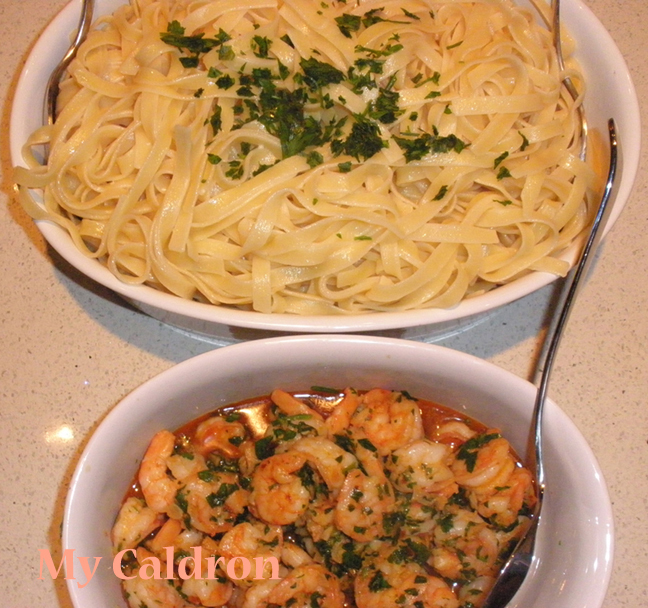 The fried shrimp goes to a separate bowl and sits next to the pasta on the table, looking gorgeous and smelling heavenly!